Fingerboards at the junction of Windermere Rd (C739) & Los Angelos Rd. 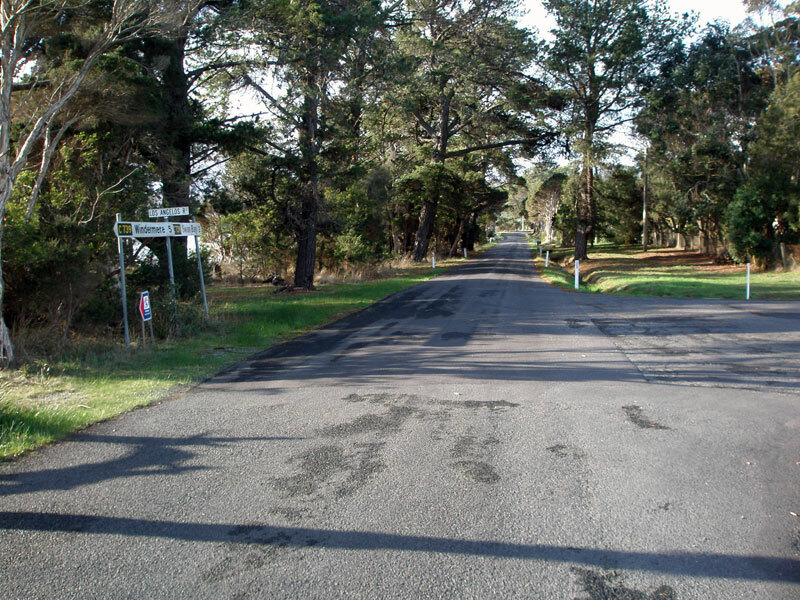 Source: Peter Renshaw, May 2007. 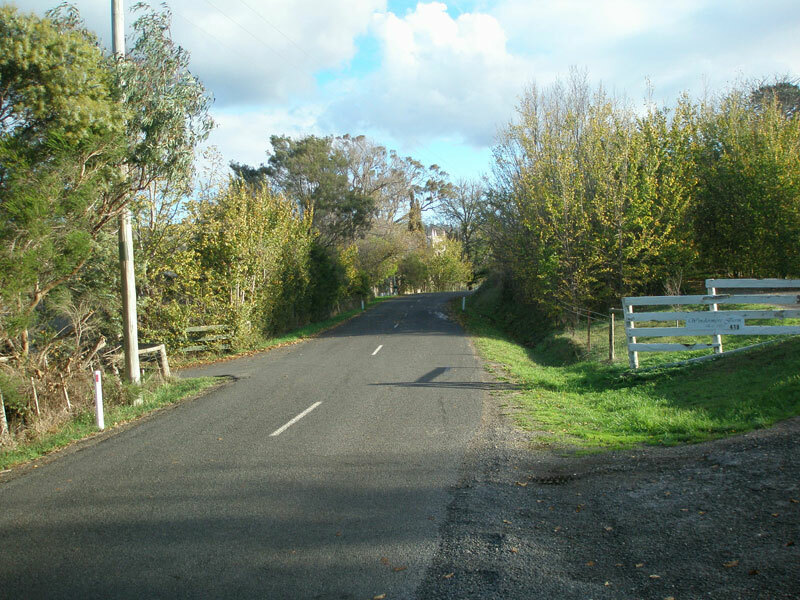 C739 is a minor rural route in the Tamar River valley, forming a loop from the East Tamar Highway through the small tourist settlements of Swan Bay and Windermere. 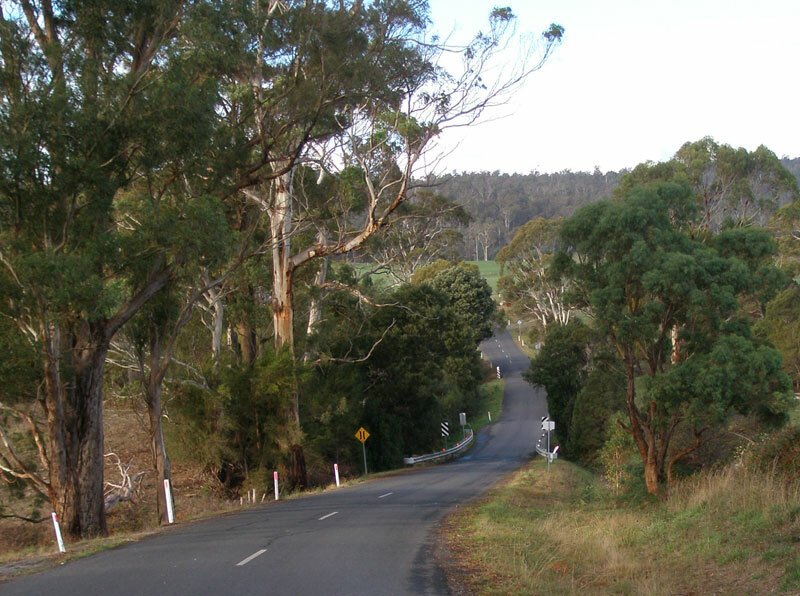 The route is mostly sealed, with the exception of a 3km section of gravel road alongside the Tamar River between Native Point Reserve Rd and Windermere. 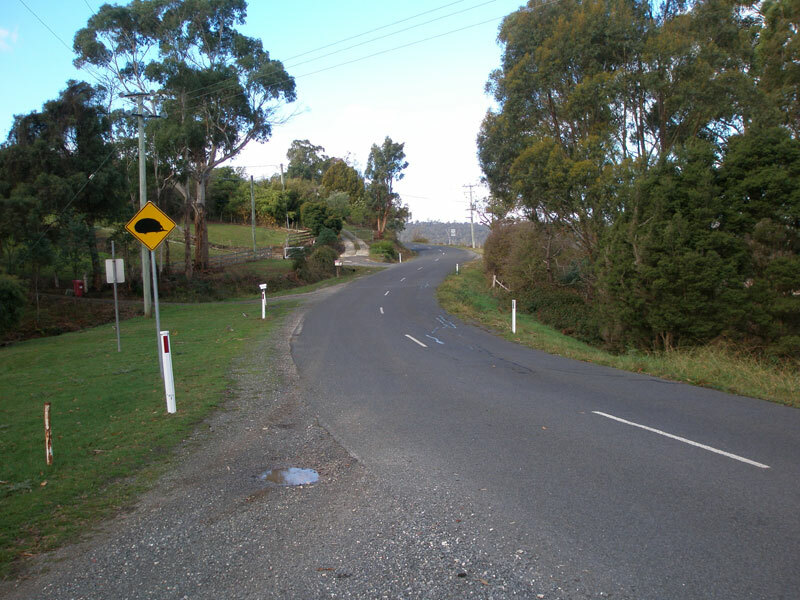 East Tamar Highway (A8) southbound approaching the northern junction with Windermere Rd (C739). 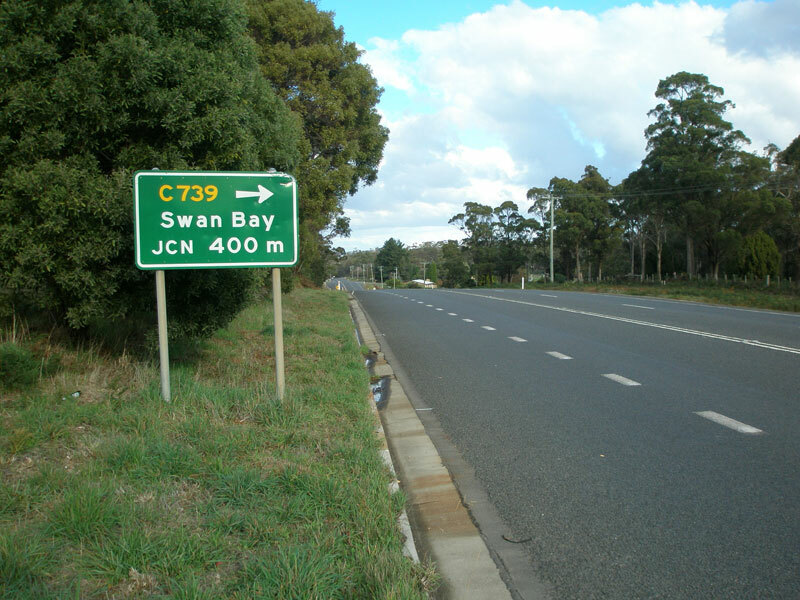 East Tamar Highway (A8) northbound approaching the northern junction with Windermere Rd (C739). 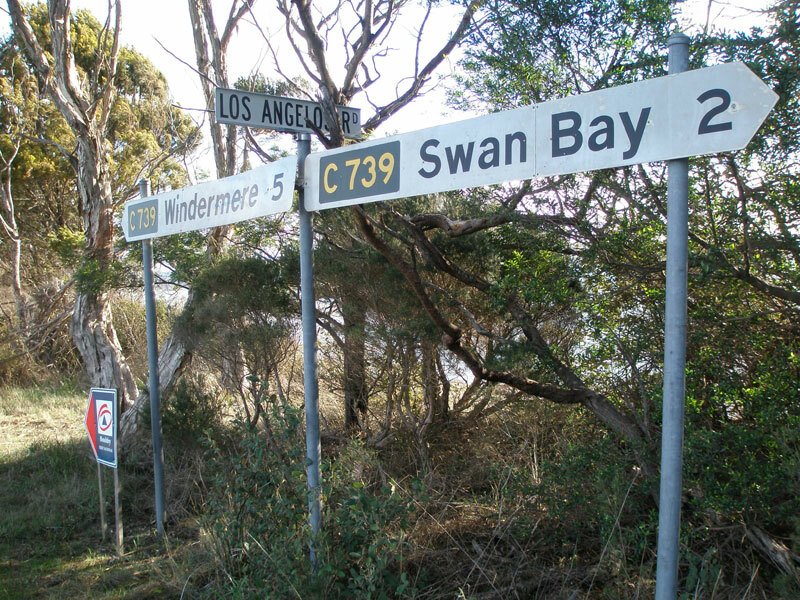 Fingerboard signs at the northern junction of East Tamar Highway (A8) and Windermere Rd (C739). 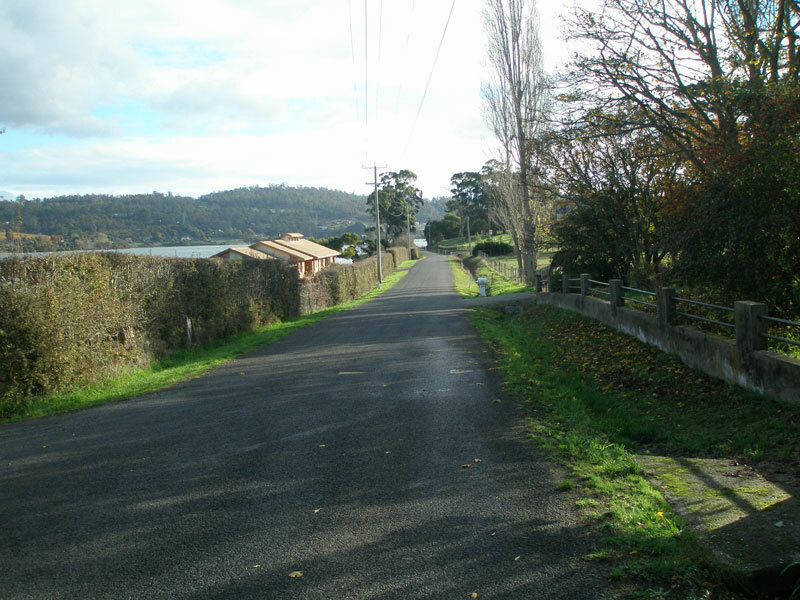 Windermere Rd (C739) looking west from the northern junction with East Tamar Highway (A8) - the Tamar River is in the background. Windermere Rd (C739) looking east at the junction with Los Angelos Rd. Fingerboard signs at the junction of Windermere Rd (C739) and Los Angelos Rd. 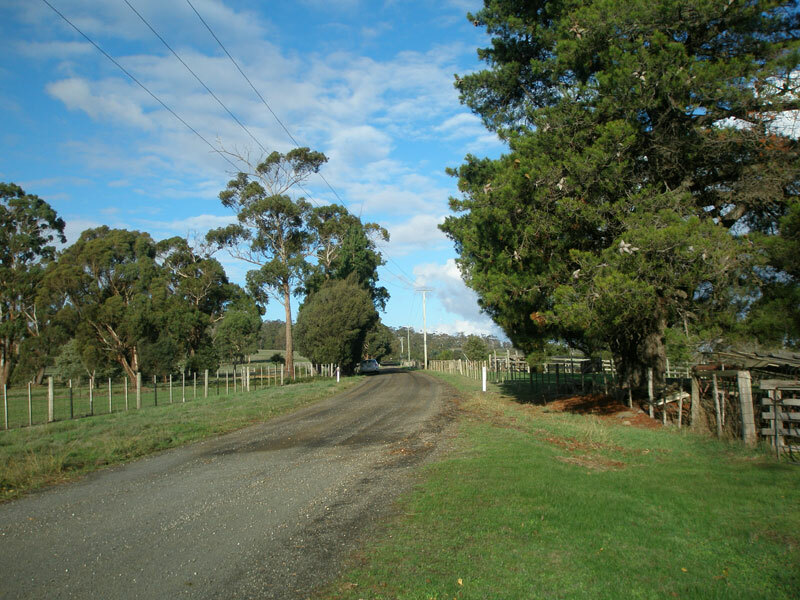 Windermere Rd (C739) looking south near Native Point Reserve Rd, showing gravel section. 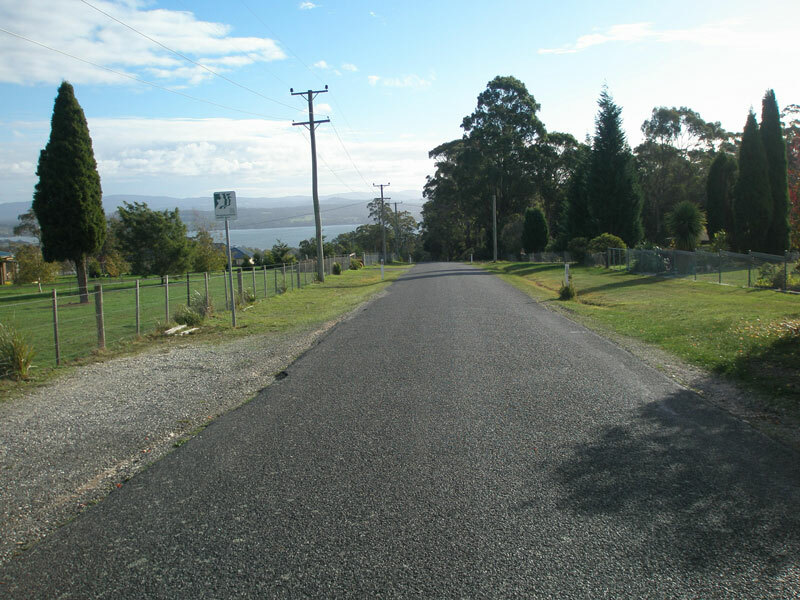 Another southbound view of the gravel section of Windermere Rd (C739) near Native Point Reserve. Windermere Rd (C739) looking west at Windermere village, with the Tamar River alongside. Windermere Rd (C739) looking east at Windermere village, with a very english setting. Note the return of the centre-line. 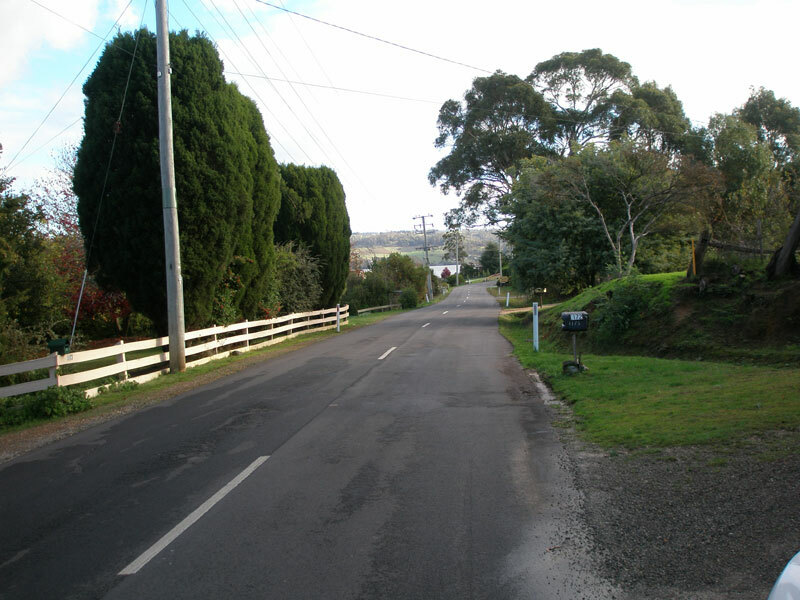 Another westbound view of Windermere Rd (C739) through Windermere village. 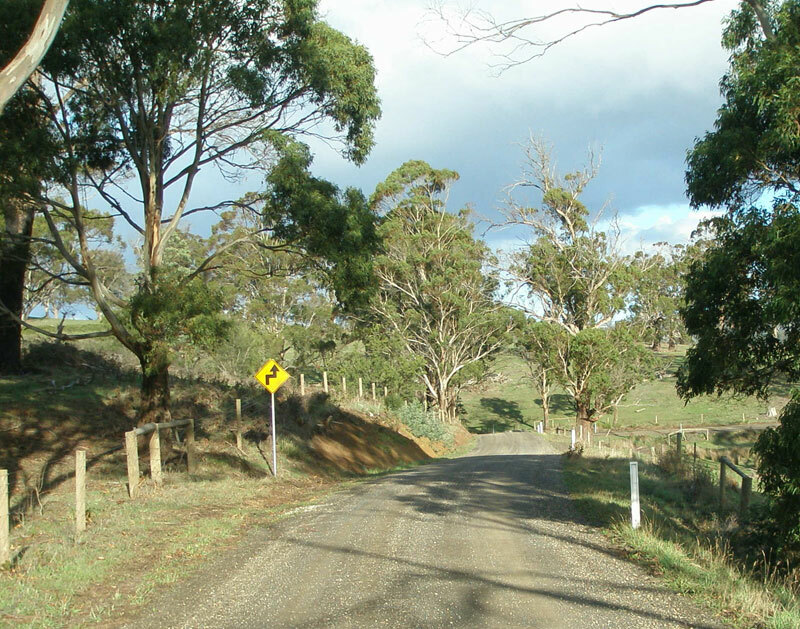 Watch out for echidnas! 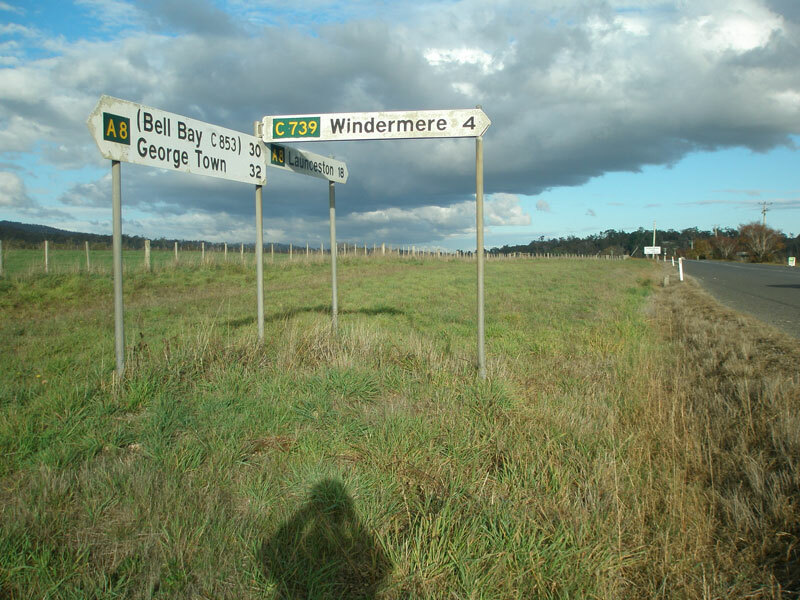 Windermere Rd (C739) westbound between Windermere village and the East Tamar Highway (A8). 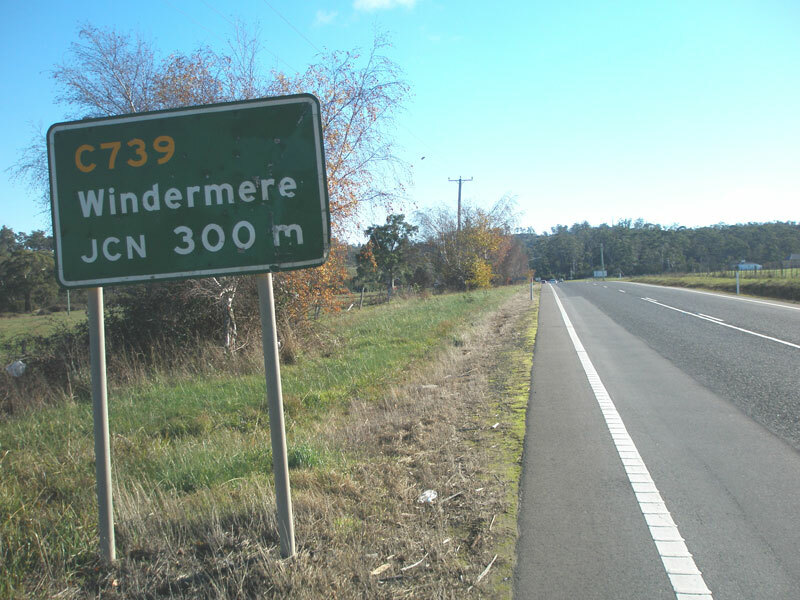 Windermere Rd (C739) eastbound approaching the southern junction with East Tamar Highway (A8). 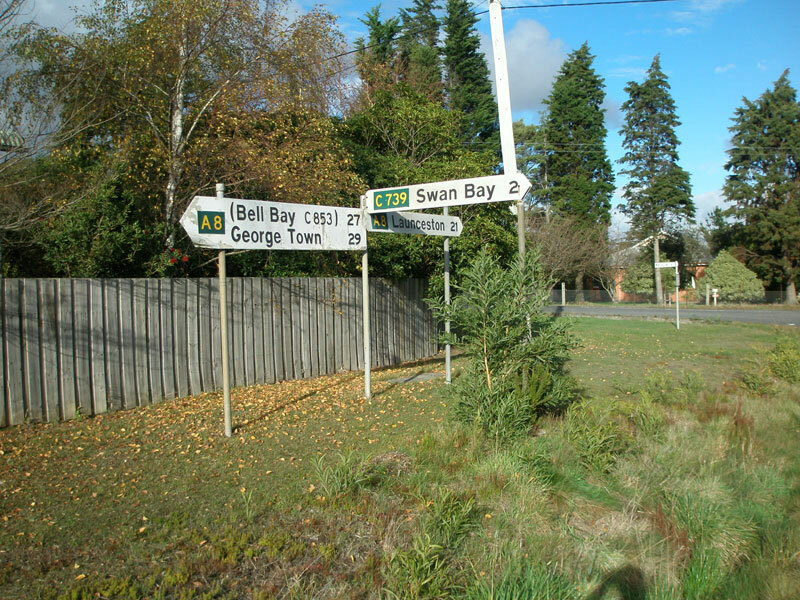 Fingerboard signs at the southern junction of East Tamar Highway (A8) & Windemere Rd (C739). 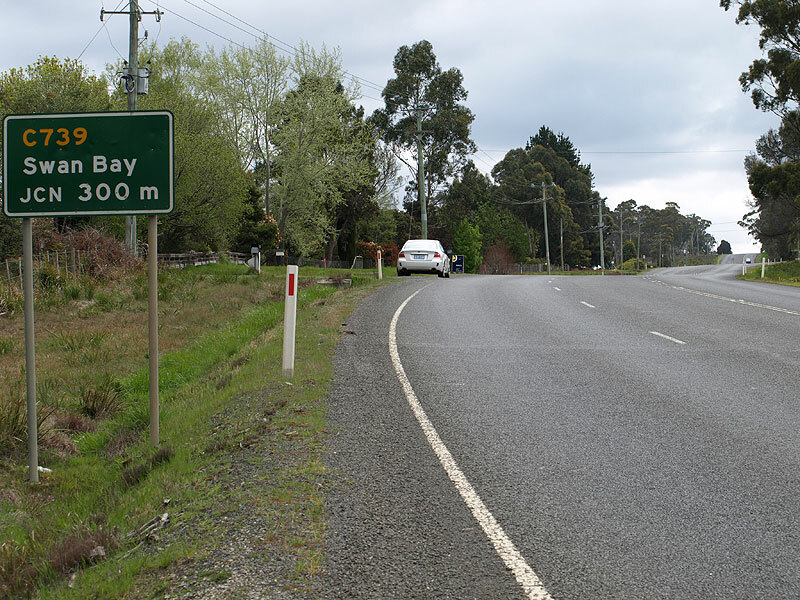 East Tamar Highway (A8) northbound approaching the southern junction with Windermere Rd (C739).